The road is expected to be open on 1st of May (depending on the weather conditions)! We are looking forward to seeing you this year! There are several holiday regions around the Grossglockner offering a broad spectrum for all ages in every season. Mountaineers, pleasure hikers, water sports enthusiasts, families with children, skiers and fans of various kinds of winter sports will find exactly what they’re looking for here. We will introduce you to the most beautiful holiday regions around the Grossglockner! 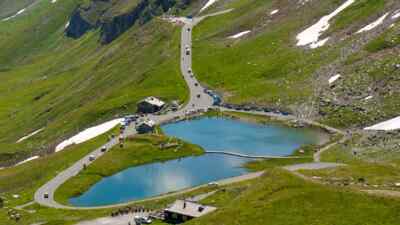 If you’re coming from the south, Heiligenblut is the starting point for your drive on the Grossglockner High Alpine Road. The municipality with approx. 1,000 inhabitants with the striking Gothic church is the ideal place for a family and an active holiday. There are three ski areas in the regions and the Alpe-Adria-Trail and a guided tour to the Grossglockner summit with an experienced mountain guide provide summer entertainment. Action sports aficionados will get their money’s worth at the Wildwasserarena Mölltal; castles, churches and Celtic cup marks will wow culture-savvy guests. Find out more about Heiligenblut in Carinthia: offers, suggested tours, sights! 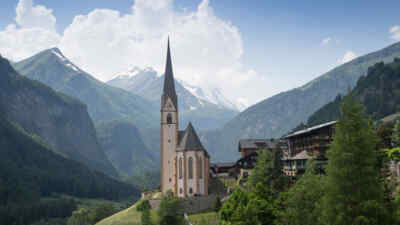 Twenty holiday resorts from Muhr im Lungau in the east to Krimml in the west are part of this holiday region on the Salzburg side of the Grossglockner. 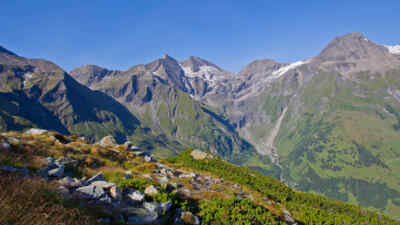 Countless hiking trails, bike tours and ski slopes pervade this area with the Grossglockner as its centre: Tip: guided hikes and tours with a National Park ranger, who knows many stories about the plants and animals of the High Tauern and also many an anecdote about its inhabitants. This page also features a tour portal for the entire National Park region. All information about the High Tauern National Park holiday region including tour portal! 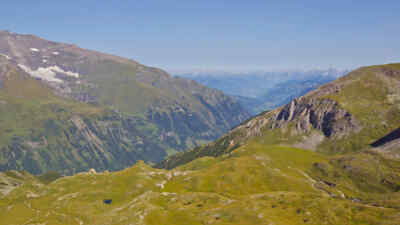 The brand „HOHE TAUERN – THE NATIONALPARK-REGION“ is positioned as a destination-brand for the regions and about 50 municipalities of the "National Park Hohe Tauern" in the austrian federal states Salzburg, Carinthia and Tyrol and became during the last five years the most important land-covering tourist brand. The winter sports fun on the Kaprun glacier, the Kitzsteinhorn, already starts in October. A scorcher of an opening event heralds the winter season in the only glacier ski region in the province of Salzburg. The Gipfelwelt 3,000 at the mountain station of the Kitzsteinhorn mountain railways puts on great events and has a sensational view of numerous alpine summits throughout almost the entire year. In summer, you can switch between mountain and water sports fun at Lake Zell, and visit the impressive high alpine barrier lakes in Kaprun at an altitude of 2,000 m.
Yes, I’d like to find out more about the Zell am See-Kaprun region! The holiday region with the localities Bruck and Fusch is nestled between Austria’s highest mountain and quaint Lake Zell. Milestone zero of the Grossglockner High Alpine Road is located in Bruck – it is the reference point for all distance information along the alpine road. Discover the Käfertal, Maiskogel family mountain, Ferleiten wildlife park and numerous starting points for summer and winter activities. If you like, you can stand on the Kaiser-Fran-Josefs-Höhe and marvel at the ice-covered Grossglockner in the morning, then courageously jump into Lake Zell with drinking water-quality water in the afternoon! 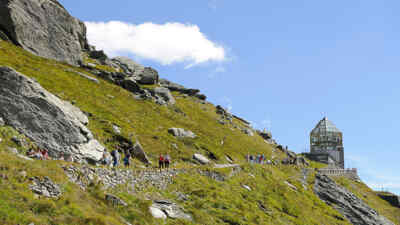 Further details and offers for the Grossglockner - Lake Zell holiday region! The 30 km mountain valley with its side valleys is pristine, simple and genuine. Once home to numerous gold-diggers, the Salzburg valley is now a first-class holiday region for families, mountain hikers and skiers in both summer and winter. Hiking through the mystical primeval forest, gold panning in the Rauriser Ache, a trip to the valley head in Kolm-Saigurn with view of the Sonnblick: discover bearded vultures, golden eagles and other alpine animals amidst an ancient natural and cultural landscape! Look forward to a small and exclusive ski region around the main locality of Rauris in winter. One click to Rauris Valley: find out more about this holiday region now!